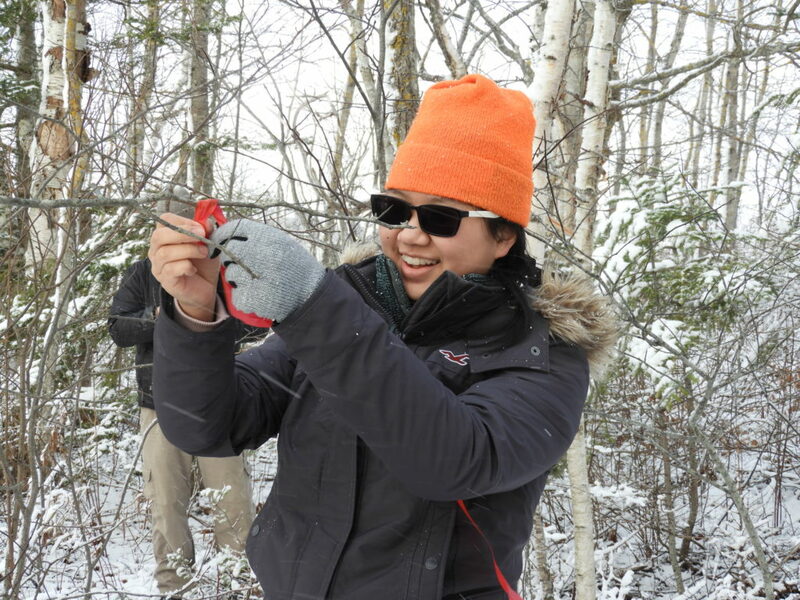 Georges River Land Trust was recently privileged to host Trekkers’ high school senior Amanda Chen for a one-week internship in support of the Land Trust’s ongoing conservation programming. A student at The School of Science and Mathematics in Limestone, Amanda grew up in Thomaston, and has been connected to Trekkers since middle school. Trekkers is a non-profit, outdoor-focused mentoring program based in Rockland that connects young people with caring adults through expeditionary learning, community service and adventure-based education. During her winter break from high school, Amanda wanted an internship experience with a nature-based organization, so Trekkers connected her to Georges River Land Trust. Working for the Land Trust for one week in January, Amanda was an instant hit at the Land Trust office, and a big help in many different areas.